Once ready, the BrahMos-M missiles will be used to equip the Indian version of the fifth generation fighter aircraft. Scientists from Russia and India have begun to work on a more compact version of the BrahMos supersonic missiles, the BrahMos-M, which will be used by the Indian fifth-generation fighter. “We are faced with a challenge of reducing the rocket’s mass, so that it can be integrated with a variety of platforms, including the equipment of the Indian fifth-generation fighter with it, which is being developed jointly by India and Russia,” head of BrahMos Aerospace Sivathanu Pillai told Itar-Tass on the sidelines of DSA- 2014 Malaysia. “The commissioning of the INS Vikramaditya" aircraft carrier and the phasing – in of the decked MiG-29K/KUB requires their expedited equipment with a smaller version of the rocket, as during combat missions these aircrafts will be able to take off from the deck of an aircraft carrier with two rockets on underwing pylons ,” Pillai added. 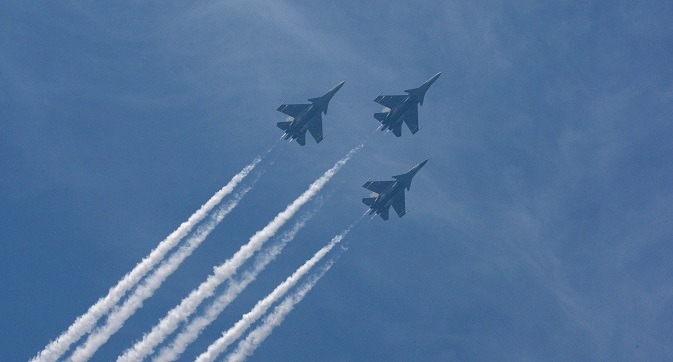 According to Pillai, if the fifth-generation fighter and MiG-29K/KUB are equipped with two BrahMos –M missiles, the Su- 30MKI can perform combat missions, with three such missiles on each plane. The first launch of a miniature rocket will take about three years, he added. It is assumed that the length of the rocket will reach 6 metres, and its diameter – 0.5 metres. It can reach speeds of 3.5 times the speed of sound and carry a warhead weighing 200 to 300 kilograms up to a maximum range of 290 kilometres. Pillai also said that BrahMos Aerospace has contracts for the production of BrahMos missiles from the Indian Defence Ministry up to 2019. In addition, he said that the Indian Air Force combat aircraft park would have 40 Su-30MKI drum fighters with the compact versions of the missile. In March 2013, for the first time, India tested an underwater version of the BrahMos cruise missile. The start at a maximum range of 290 kilometres took place from an underwater platform in the Bay of Bengal off the coast of the southern state of Andhra Pradesh. Later, in November, testing of the improved version of BrahMos Block III version for hard targets was conducted.